Ennerdale in a Cob this morning. A bowl of Amphora Virginia in a Cob. Very tasty. Intending to try some Bob's Chocolate Flake after this one. Night train in a cob in the rain, standard. Was planning on a cigar this evening, but it's just too windy. We've been somewhat spoilt with the fantastic weather of late and an indoor stick just won't cut it for me right now. 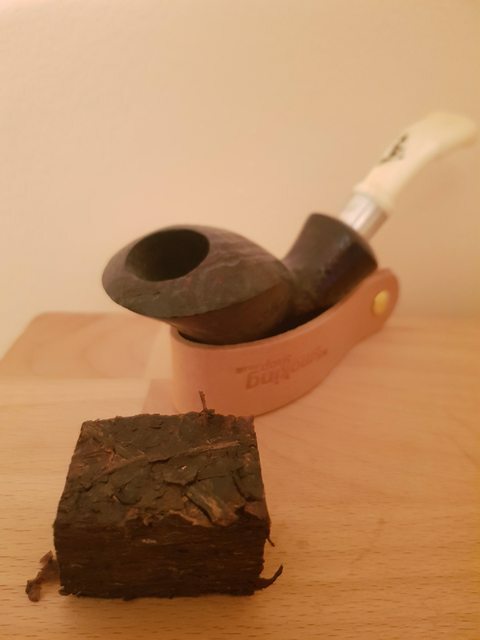 Instead, a small bowl of Kendal Flake in a MM Cob.